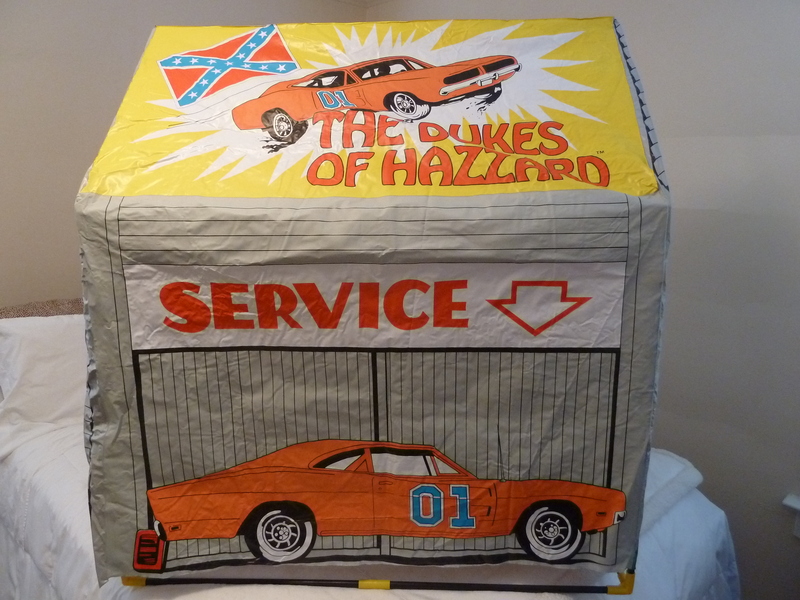 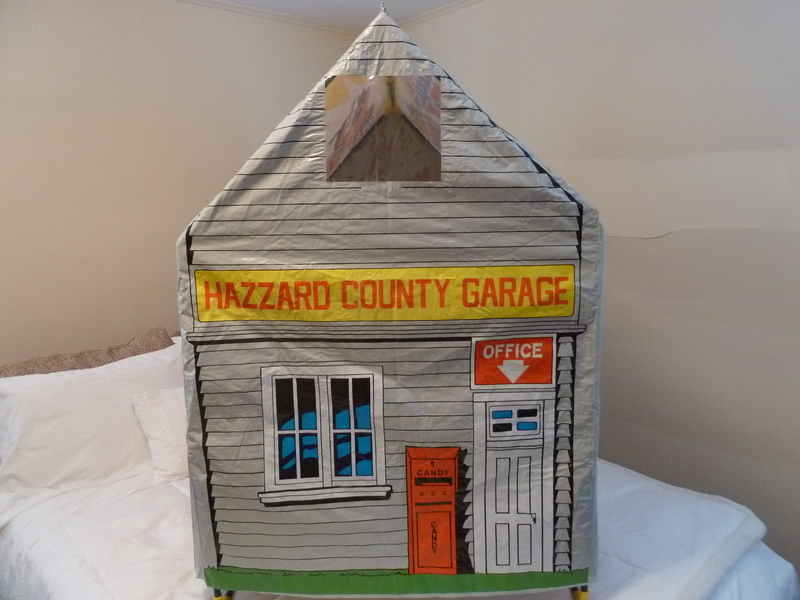 Officially known as the Dukes of Hazzard Playhouse tent, the Hazzard County Garage Tent is super rare. 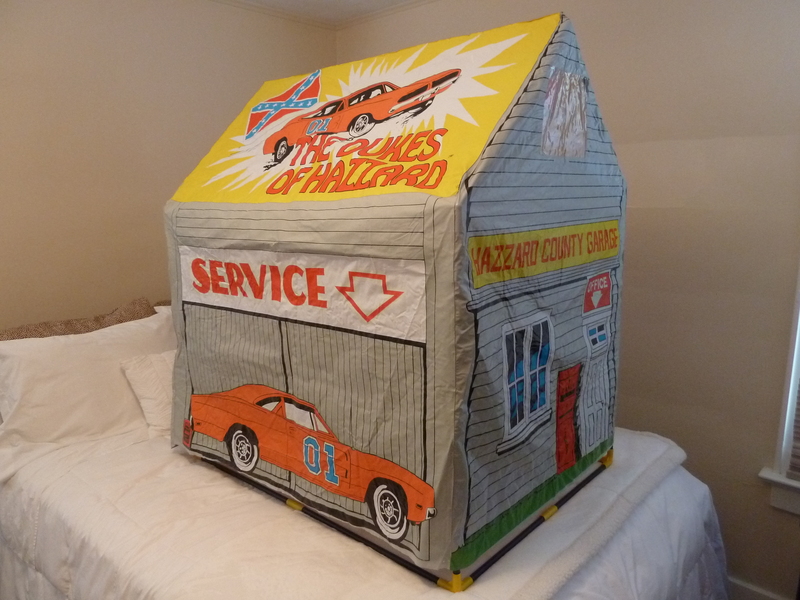 More of a bed tent than an outdoor tent, as it has no bottom. 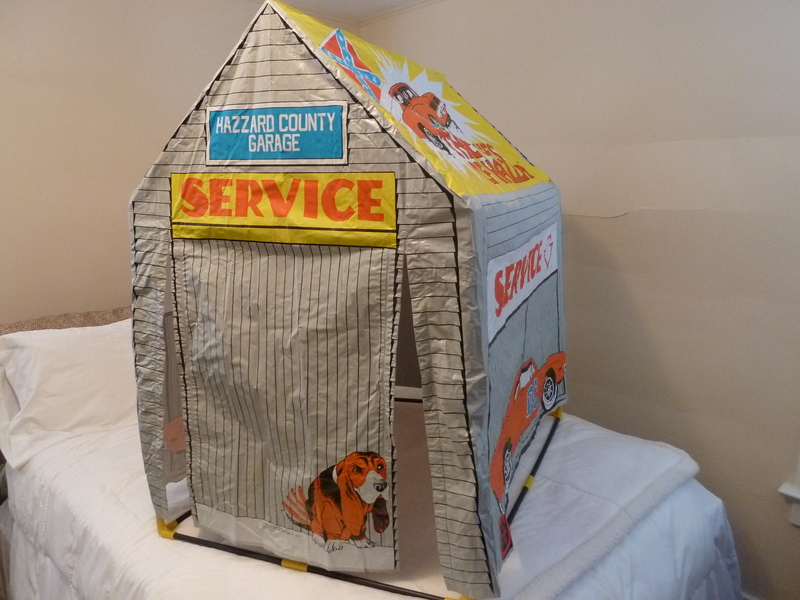 Notice a tail-wagging Flash on one side.